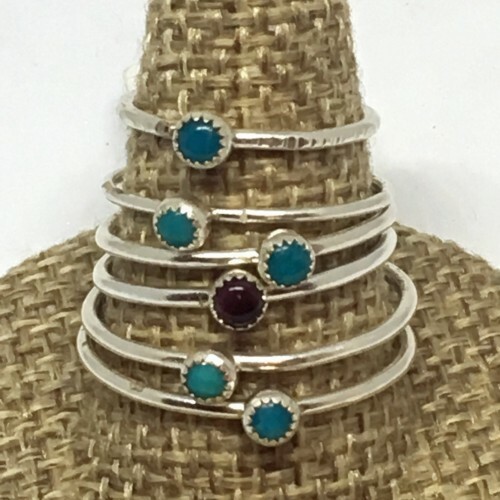 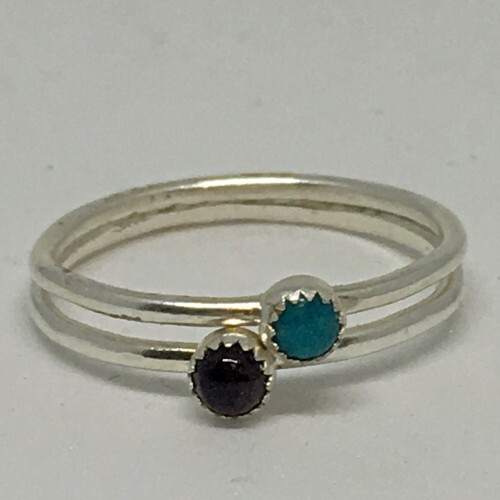 Natural American mined turquoise and natural purple spiny oyster shell are encased in a handcrafted sterling silver bezel and soldered on top of a dainty sterling silver band. 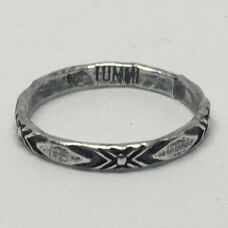 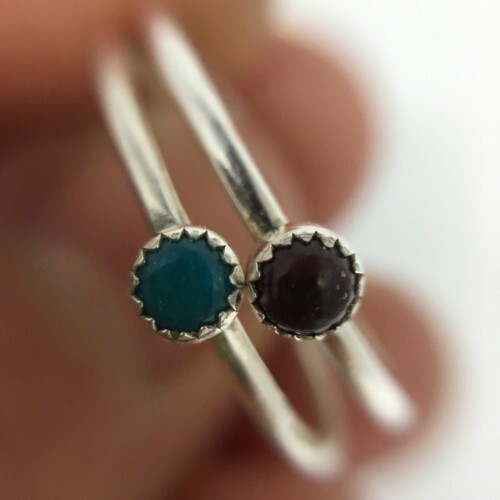 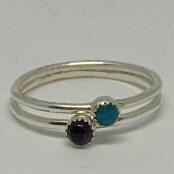 Stone & bezel measure approximately 3.5mm and comes in any size ring. 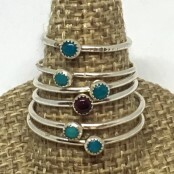 Rings are sold separately but made to stack multiples!